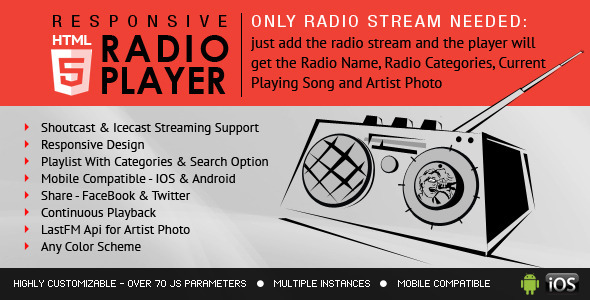 A top-notch HTML5 radio player with playlist, categories and search. Shoutcast & Icecast support. Any color scheme - multiple options.